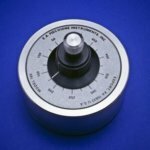 Model 170 Ultrasonic Disk Cutter - LABORSCIENCE A.E. 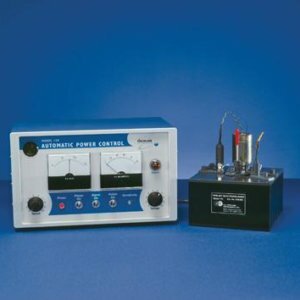 The Model 170 Ultrasonic Disk Cutter rapidly cuts transmission electron microscopy (TEM) specimens from hard, brittle materials without mechanical or thermal damage. 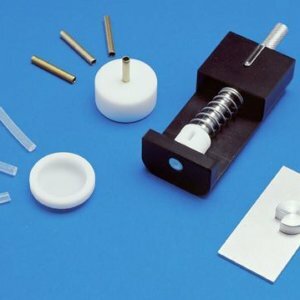 It produces disk specimens from materials as thin as 10 µm or cylindrical rods up to 10 mm long from bulk samples or rectangular wafers that are subsequently used in the preparation of cross-section TEM specimens. Its unique design means that the specimen is always presented parallel to the cutting axis. 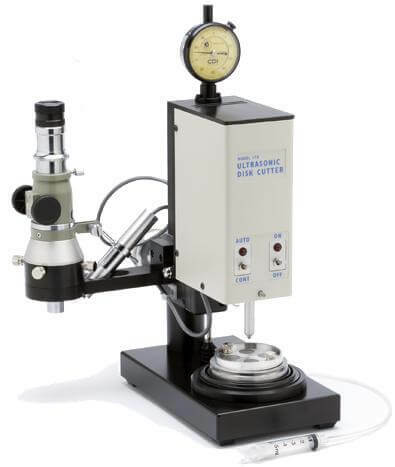 An optional microscope facilitates site-specific cutting by helping to locate an area of interest in the bulk material. 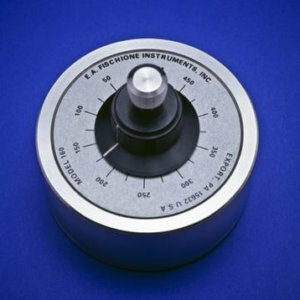 A dial indicator accurately displays the depth of the cutting tool. The process is automatically terminated once the specimen has been cut. 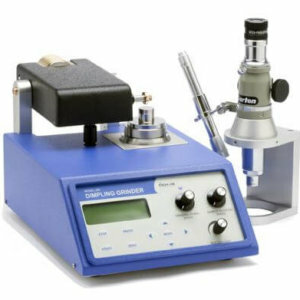 The cutting tool movement is caused by the excitation of lead zirconate titanate crystals oscillating at a frequency of 26 kHz. The cutting medium is an abrasive slurry of either boron nitride or silicon carbide. 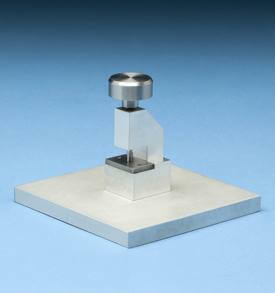 Tool motion is optimized to cut at the maximum rate while minimizing mechanical and thermal specimen damage.